Whilst kitesurfing seems to be the favourite with the Atins ‘crowd’ the constant winds (July – December, 15 – 30 knots cross/on-shore) also make for great windsurfing conditions. The variety of different waters (flat & calm lagoon, open sea waves, tranquil river) provide something special on top. Given its isolated location, transportation of boards and masts however is a somewhat tedious endeavour. 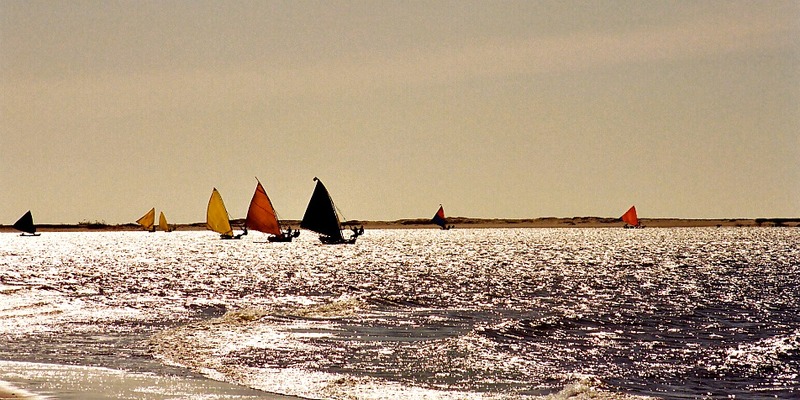 The closest water sports to match the Kiters are therefore the boat races of the local fishermen. To date, surfers are an equally rare breed in Atins. This may be due to the fact that one needs to cross the entire lagoon to access the open sea. 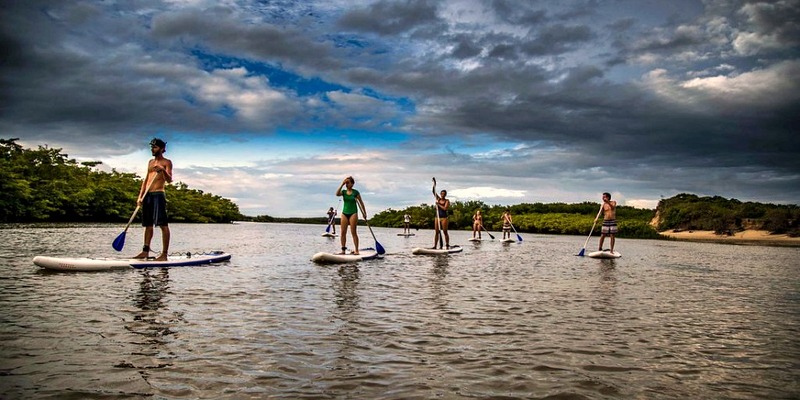 Instead, SUP is becoming ever more popular with locals and visitors. Instructions, rentals and trips can be arranged at Aloha Atins.